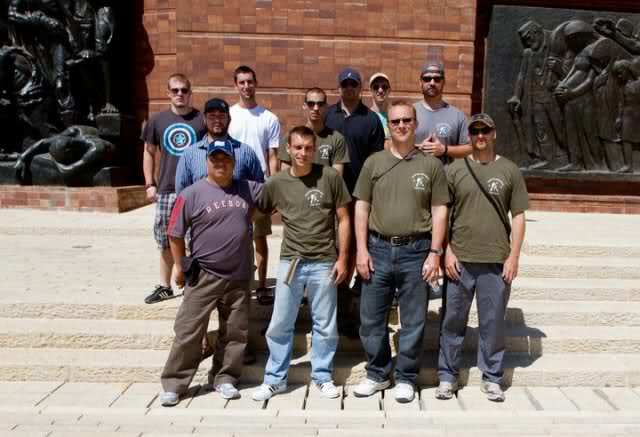 KINGSLEY -- Many people are turning to Israeli-based Krav Maga to protect themselves. Krav Maga, translated from Hebrew means contact combat. The system focuses on close, hand-to-hand maneuvers. It’s the distance where someone can reach out and grab you. Tuesday night a group of about 20 people learned Krav Maga principles straight from Israeli instructor Moshe Katz. 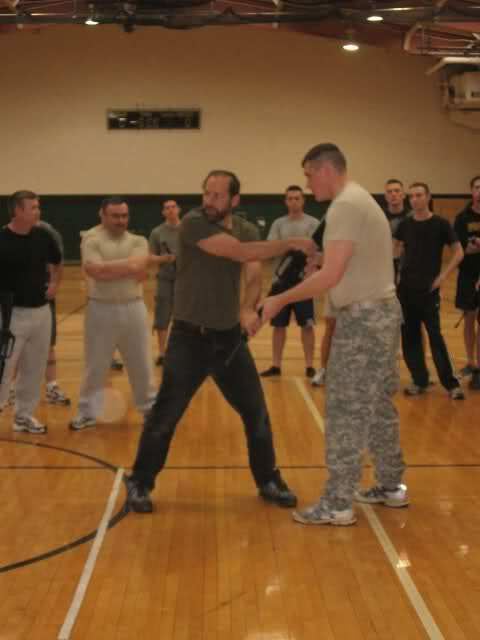 It's the second time Katz has come to northern Michigan to teach self-defense. Katz travels around the globe spreading his techniques because he’s passionate about helping people. “Every time I read a story or hear something on the news about somebody attacked, that's my motivation to give people the tools to live without fear,” said Moshe Katz, of Israeli Krav International. Katz gives people techniques that are simple. He said they don't have to be a master martial artist to be able to protect themselves. His techniques focus on real life situations for all ages and fitness levels. 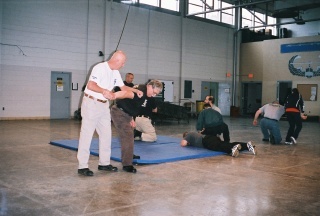 Participants learn how to react to common unarmed attacks as well as situations including weapons. “I was in Mexico. A guy came up to me and says, ‘I was held up like this.’ I don't say, ‘hey we have our curriculum.’ No, this is how you were held up? This is what we're going to deal with,” said Katz. Mostly men attend local Krav Maga instructor Colby Taylor's classes in Traverse City, but he's seeing more and more women joining. He said it's because they want to be safe. “If I'm in a difficult situation, how do I defend myself or my friends?” asked Rose Vanderley, 17. Vanderley picked up Krav Maga nearly a year ago and said now she’s better prepared for danger. “It's really natural and it's easy to pick up on. It's pretty repetitive so you can train your brain to do it. It's pretty easy for most anybody to do,” explained Vanderley. 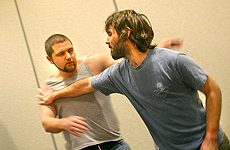 Many martial arts schools teach Krav Maga principles. Covenant Defense owner Colby Taylor instructs a group in Traverse City every Wednesday night. “There's a lot of people interested in their community being safer. There's a lot of people that are interested in taking care of their families. They're a community that wants to work together and become a band of brothers,” said Taylor. Lauryn Singer, diary science major, learns how to disarm an attacker from Krav Maga instructor Moshe Katz.